With so much variety nowadays when it comes to deciding which hearing aid to buy, it’s important you do your research and find the one that will suit you best. For many, invisible hearing aids could be a fantastic choice, so before you make your final decision here are the pros and cons of buying invisible hearing aids. This one is pretty obvious, but for many looking for a hearing aid, one of their biggest concerns is that they don’t want to be seen wearing an ugly clinical device. Invisible hearing aids are the natural go-to choice and help hide the fact that you are using one, making them a great way to ease first-time users into going out in public with one. Those using hearing aids will quickly come to terms with something called the occlusion effect. This is where the user’s own voice can appear very loud or hollow to themselves when they are speaking. It can be very annoying and unnatural; however, invisible hearing aids help reduce this, both because they are smaller and shorter than traditional aids. This allows less space for sound waves to vibrate around and create this occlusion effect. 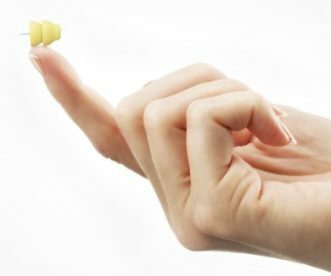 Because they are smaller and closer to the ear drum, they require less power in order for the sound to reach the user. This is great because it leads to less residual sound energy and so less feedback when doing things like speaking on a mobile phone. If you suffer from more severe hearing loss, then it’s likely that invisible hearing aids aren’t right for you as they lack the power and more advanced technology of the larger hearing aids. Due to the nature of the hearing aids being much smaller, they can only fit much smaller batteries which will obviously give less power. This means that you will need to change the batteries more often, and this can, in turn, cost you more money. Larger hearing devices are able to fit more than one microphone in them which are programmed to pick up sound from the correct direction and thus give you a better experience. For example, if you are in a busy environment but speaking to someone in front of you, advanced directionality technology allows you hear to hear that person more clearly and block out the other noise around you. Unfortunately, due to their size, invisible hearing aids only have room for one microphone and as such can lead to more background noise when in busy environments. So when deciding whether or not to buy an invisible hearing aid, it’s important to consider all of these points and see if it is realistically the right choice for you.